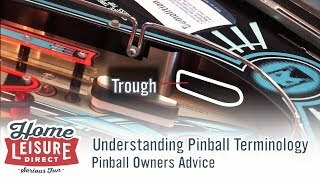 Pinball Terminology For New Pinball Owners We explain the components of a pinball machine, allowing you to familiarise yourself with pinball's unique terminology. 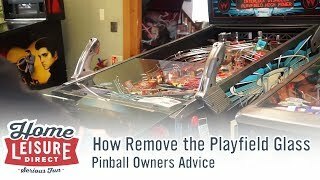 How To Remove The Playfield Glass Learn how to remove the glass from a pinball machine to access the playfield. 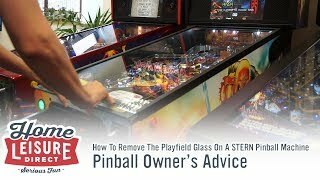 How To Remove The Glass On A New STERN Pinball Machine Learn how to remove the glass from a STERN pinball machine to access the playfield. 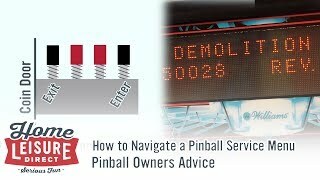 How To Navigate A Pinball Service Menu (Bally, Williams, SEGA and STERN) Learn how to navigate a pinball's service menu to change settings and options. 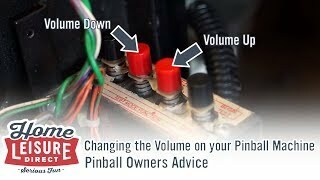 How To Change The Volume On Your Pinball Machine Learn how to easily change the volume of your pinball machine to turn it either up or down. 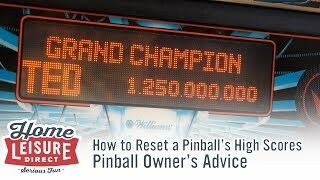 How To Reset A Pinball High Score Learn how to quickly reset the high scores table on your pinball machine. 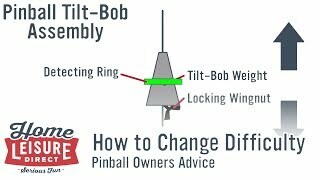 How To Change a Pinball Machine's Difficulty With Settings And Tilt Learn how to make a pinball machine easier or harder using software and tilt settings. 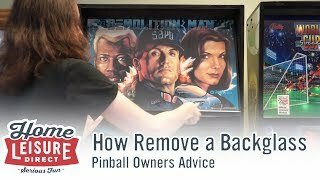 How To Remove A Pinball Machine Back Glass Learn how to remove the backglass from a pinball machine's backbox in order to access the main circuitry.